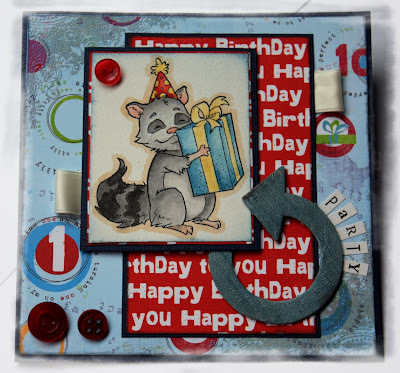 Welcome to the Anniversary Blog Hop sponsored by Whiff of Joy Stamps! Here are a close-up of the cute new Party Animal from Whiff of Joy! The gorgouse new WoJ stamp is coloured with Distress Ink and some Glimmer Mist on the gift. The arrow is painted with Distress Crackle paint and prayed whit Glimmer Mist. And don't forget to leave lots of commet ~ because you'll never know what can happen!! Fab card, hun, love what you have done with the stamp! This is such a cute card. I love it! Such fun artwork. Thank you. what a great card. The stamp is so cute. Another adorable card with these iamges!! I am just loving all of them!! So cute and such happy colors!! WHat a great card for a little boy! I love your color choices. Your card is sooo cool Tonje!!! Great job how you showcast the little racoon. This is fabulous. I love the colours you've used and your colouring is fantastic. How cute...love added touch of the arrow and the lettering for party. I absolutly love your coloring *_* compliments! Fun card....he looks like he could be a bit of a naughty fellow! Kjempelekkert kort, nydelig fargelegging, herlige papirer og lekre detaljer!! Fantastic Work and great colors! Awwwwww so cute!! I love it. love the card you have made the card really stands out with its vibrant colours and you cute new stamped image which has been coloured beautifully. 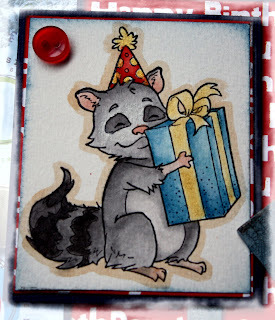 What a fab card - I love this little raccoon. Alle de nye stemplene er sååå skjønne. Gratulerer med dagen til WOJ. Wow!! What a cute card. Love all the new stamps, they are really beautiful. Oh this is gorgeous, i just love that image - reminds me of my little teddy racoon i had when i was little!! Another one of my favourites!! You have coloured it beautifully!!! Lovely card. What a cutie. Lovely colours. Soooooooo cute! Love the layout and the colors. Thanks for sharing and Happy Birthday. What a fun card. I like how you cropped the word Party at the arrow. way cute! A really cute card. You have coloured the image beautifully. Love your papers. You made a gorgeous card for the birthday party from WoJ. I love the new stams. Fab card and I love the image. Oh, isn't he fun? What a fab card and your colouring is great. Beautiful card you have made...love it! Hi Tonje! My little raccoon looks so cute! Thank you for the gorgeous card! Fab card your colors were great! cute card... i love it!!! Nice job! I love these bright colors here! Great card - I like your style. Great card you've made using this super cute new image. 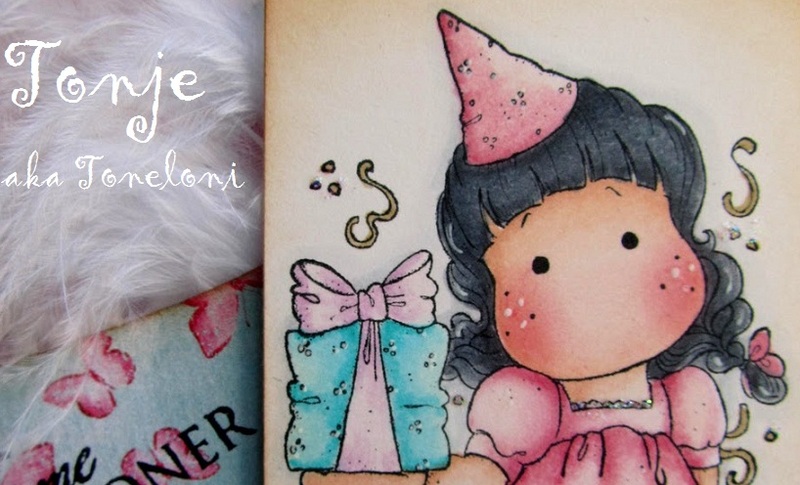 A lovely card - another cutie image! Another fabulous card. Great work. Love this cute guy brill card. Another gorgeous creation, thanks so much for sharing. Happy birthday to you all. I've seen so many blogs now I'm running out of things to say. I love what you made. New stamps are great. Your card is just beautiful! You did a great job with that cute little stamp, just beautiful. Lovely card. The party animals are all so cute. Fantastic card, shows the stamp off perfectly. This is so sweet and the image is so cute. Awesome job! This is a great release! So cute ... what a fun card!! Fab card - love teh layout! awww such an adorable card! I love your style and your creativity. Fabulous coloring of this adorable image! What a great card - I love your papers and embellishments! You've coloured your image in beautifully too! Knall stilig kort du har laget med masse herlige detaljer!! Beautiful colouring and a fab creation! Loving the colours! Such a fun and cheery card. Herlig kort du har laga! Gøy med så friske farger! oh love the circle with the arrow and yourr colouring is fab. Fab card, love the colours and the big swirl and your colouring is brill. Very creative and very different. I loved it. Cute card! Love the layout and that great dp you used. Very cute. Thanks for sharing. I love these sets. 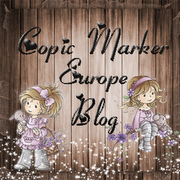 I love what you have done, and I am so glad that I have joined in the blog hop. And what a stunnin card, its gorgeous! Stunning card, love your colour combo, you have coloured this little cutey beautifully! Your card is just too stinkin' cute! Love the new WOJ stamps! SO FUN! I love the playful feel your card brings. Fabulous card. 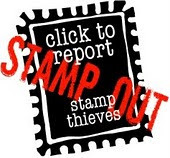 Love the stamp, he's so cute and cheeky looking. Beautiful colouring!! I'm a day late, but your little racoon is soo cute! Hei... jeg tar sjansen på at jeg ikke har kommentert kortet ditt.. men her var det jammen så mange som hadde kommentert at jeg ble usikker. He, he..
Flott kort, Nancy.. herlige farger og motiv.